As the market continues an ascending trend, a few stars light the way up to the moon. 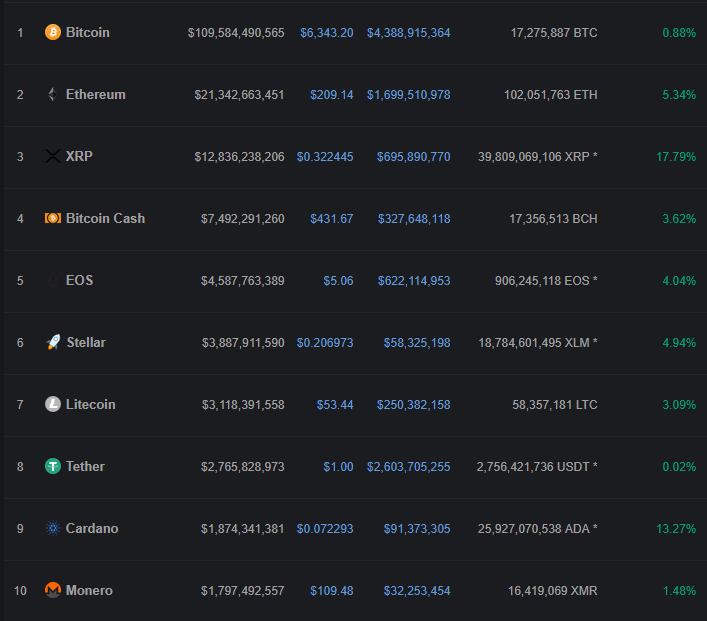 No, it’s not Stellar, but a couple fellow Top 10 cryptocurrencies that gleam a 15% gain: XRP and Cardano. Ripple’s XRP, on the other hand, maintained this trend for almost 24 hours after the company Head of Government and Regulatory Relations confessed to CNBC his “confidence” that xRapid will be launched shortly, within “one month or so”. This new product of Ripple is a mediating space between traditional financial institutions and payment providers that helps speed up international transactions by quickly converting fiat to XRP and back to fiat. XRP is currently priced at $0.3287, roughly 20% up since the announcement. However, rank #51 token Chainlink (LINK: $0.3369) competes against the two to conquer the skies with a glorious 21.39% at the time of reporting. It seems that the announcement that both Chainlink and Waves (WAVES: 10.47% or $2.32) will be listed on Bithumb brought them the spotlight. The two coins will be listed on the Korean exchange in a few minutes (9.30 AM UTC). The rest of the market seems to benefit from this news as well. While Bitcoin lags behind at $6,359 (1.13%), as expected, altcoins see gains of 3 to 7 per cent on average. The only big loser today is Aurora, which met a sudden plunge on Monday evening (UTC) after climbing up several percents earlier that day.